Jeff Young | Leadership | About | WEX Inc.
Jeff joined WEX in 2014 when the company acquired Evolution1 to expand its healthcare payments business. He spearheads the company’s efforts to simplify the business of consumer-driven healthcare and is responsible for WEX’s growing healthcare business, with a focus on industry-leading technology and a strong partner network. 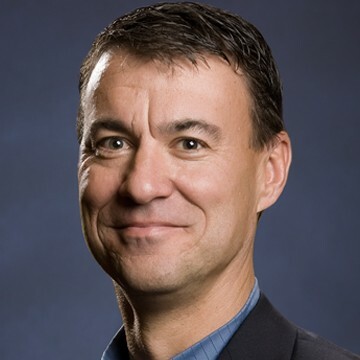 Before joining Evolution1 as CEO and chairman in 2008, Jeff was the vice president of business applications at Microsoft Corporation in the U.S. Prior to that, he held senior leadership positions at Great Plains Software, helping lead Great Plains through its successful IPO and eventual sale to Microsoft for more than $1 billion. A graduate of the University of Jamestown (N.D.), Jeff serves on the boards of Bell Bank in Fargo and West Fargo (N.D.) Baseball. Our partners’ innovation, knowledge, and energy keep me on top of my game. I’m extremely grateful for the opportunity to work with the best third-party administrators, health plans, financial institutions, exchange partners, and payroll providers in the industry. A good partner is one who wants to align with a technology platform that helps them deliver on a shared mission to simplify the business of healthcare, grow in the market, and most importantly, make a positive difference for the employers and consumers they serve. We couldn’t do what we do without a team deeply committed to our mission. We recognize their excellence, hard work, determination, and dedication through three quarterly recognition events, an annual recognition event, and more. I’ve long admired coach John Wooden, and I live by his belief of making practices harder than games. Whether it’s preparing for a presentation, a software release, or our annual Partner Conference, preparation makes the opportunity for success so much higher. I’m based in West Fargo, North Dakota, sister city to Fargo.